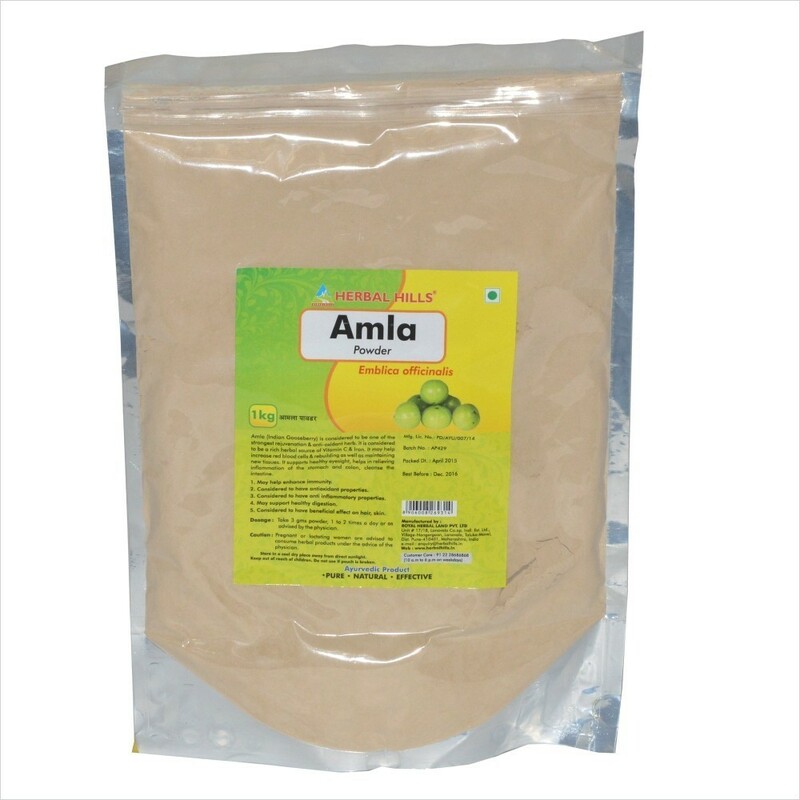 Amla Powder - 1 kg Pouch Amla (Indian Gooseberry) is considered to be one of the strongest rejuvenation & anti- oxidant herb. It is rich herbal source of Vitamin C & iron. It helps in increasing red blood cells & rebuilding as well as maintaining new tissues. It supports healthy eyesight, helps in relieving inflammation of the stomach and colon, cleanse the intestine Benefits : -Helps enhance immunity. -Has anti oxidant properties. -Has anti inflammatory properties. -Supports healthy digestion. -Has beneficial effect on Hair, Skin.